Healey’s Cornish Rattler Cider, straight from their family-run farm located deep in the heart of Cornwall, near Newquay. 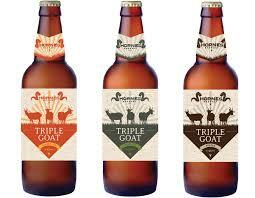 Pecks Farm Shop is proud to be the only place we know of where you can get their cider, north of Exeter. 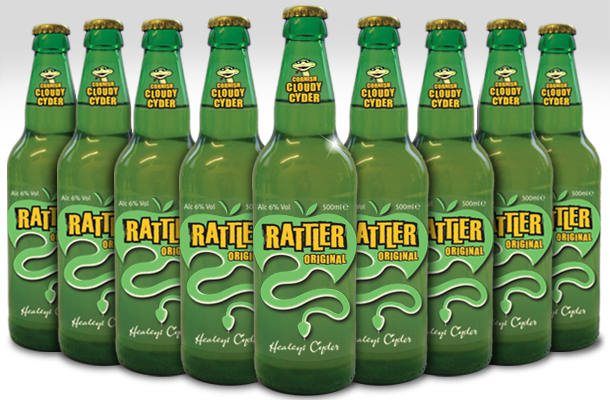 Rattler Original (6% abv): a cloudy, semi-sparkling cider with a bite! 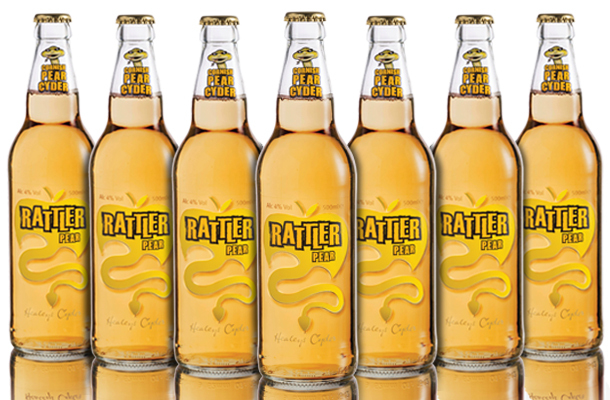 Named after the feisty Cornish Rattler apple and blended with Healey’s know-how, Rattler Cyder has the crisp, fresh flavour you crave. 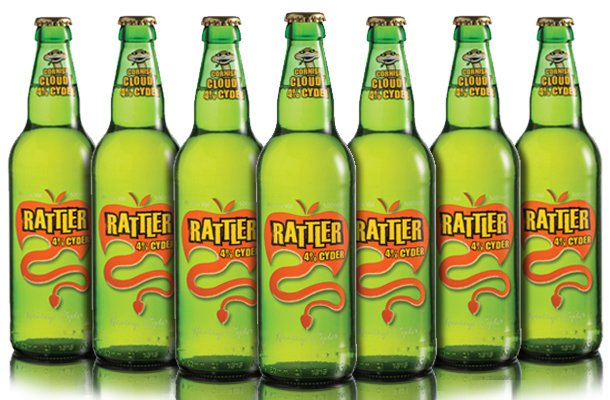 Rattler 4% Cyder (4% abv): a cloudy cider, with a more mellow bite. 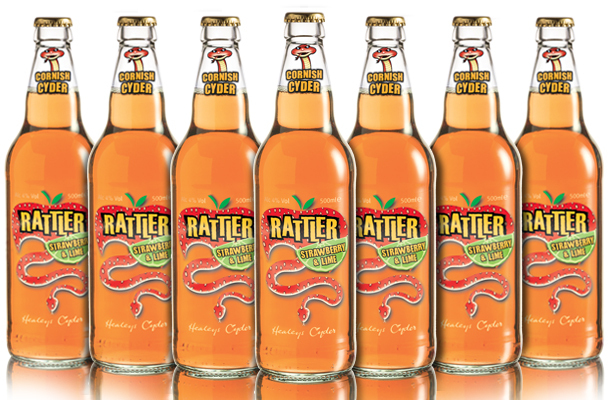 Rattler Pear Cyder (4% abv): In the mood for something fruity? Blending juicy pears, crisp apples and Healey’s know-how, Rattler Pear teeters between sweet and sharp, to really hit the spot. 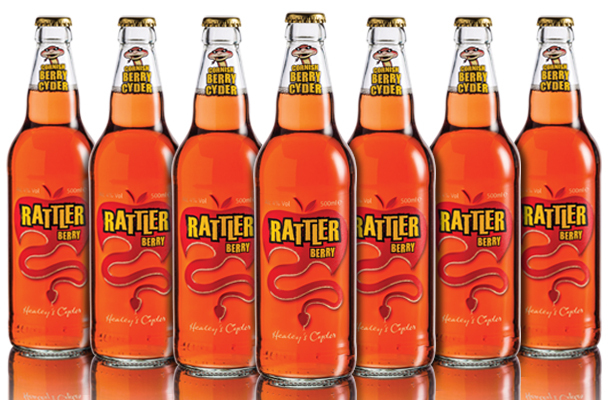 Rattler Berry Cyder (4% abv): Fancy a taste of summer, whatever the weather? Bursting with red berry juice and the famous Rattler bite, all blended with Healey’s know-how, Rattler Berry is a sip of pure sunshine. Rattler Strawberry & Lime (6% abv): A new addition to the Rattler family! 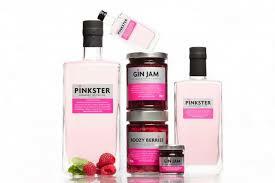 A perfect summer tipple, this fruity new flavour is sure to get your taste buds tingling with its exciting sweet and sharp accents. We feature Healey’s Cornish Rattler Cider in both our bespoke cider/ beer hampers and our popular Ploughmans Hamper. 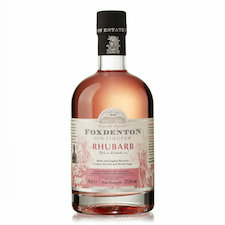 The latter makes a perfect birthday or Fathers Day gift for cider and cheese lovers. 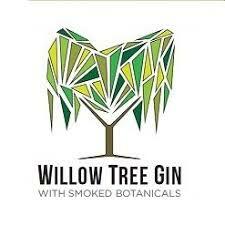 For more information call us on 01525 210 281.